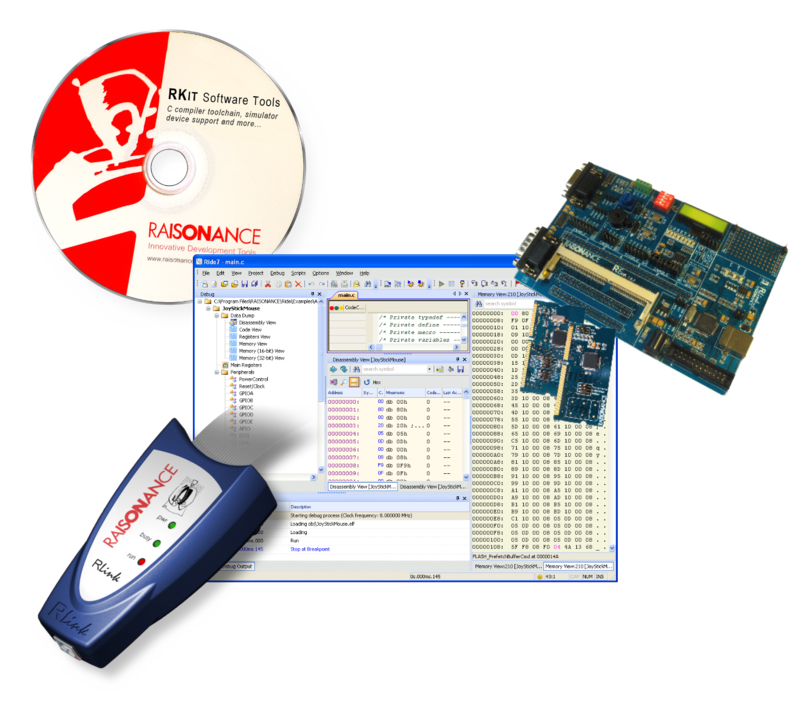 Raisonance provides both software and hardware tools for 8-bit embedded RISC microcontroller cores including sub-families from EM Microelectronics and Semtech. Software tools include the free GNU C compiler for CoolRISC and the Raisonance integrated development environment (Ride7), which provides start-to-finish control of application development including code editing, compilation, optimization and debugging. Hardware tools include the RLink in-circuit debugger/programmer (USB/JTAG) and REva starter kits designed to help users explore and master new devices so that they can concentrate on creating applications, not on learning new tools.